Today, we are going to revisit the 40 day affirmation challenge. Michael just finished his, and we are going to talk about that. Patrick shares more about the fire he mentioned last week. He had left a candle burning in his Bainbridge Island office, and it started a fire. He was returning from a trip and got the message at the Spokane airport. It’s amazing that more damage wasn’t done, and Patrick is so thankful that no one got hurt. He has now switched to LED candles. We also talk about our dad and his artwork that he calls cluster creations. We also share stories and insights about life and surgery and try to share interesting and inspiring knowledge for you to ponder until next week. We also help a listener construct an affirmation. 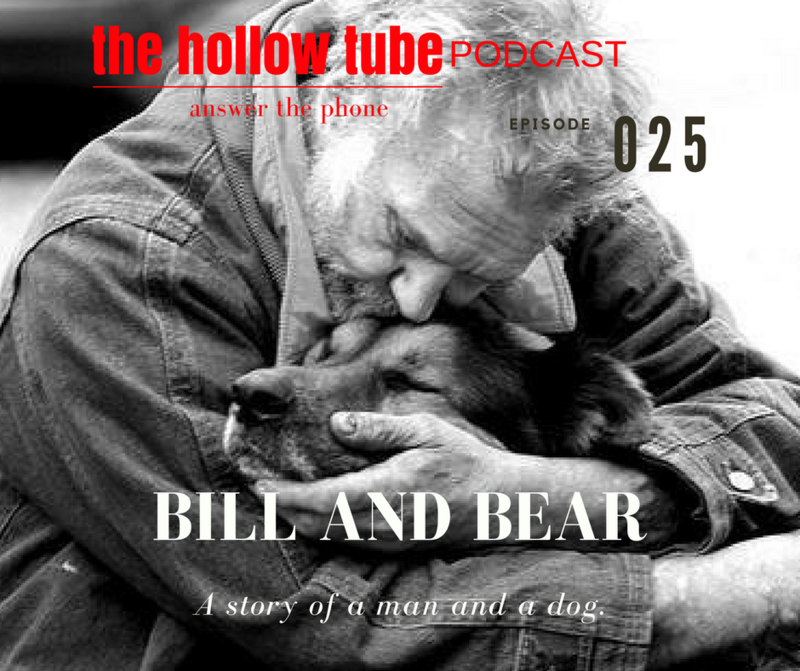 Michael also shares an awesome story about helping the homeless man and his dog that he met last episode. [05:39] Michael was taking Wanda his dad’s caretaker home to his dad’s house, and he got the opportunity to observe his dad going through objects at his house. it’s fascinating to think what had been going through his dad’s mind. [07:42] Michael and Patrick’s dad used to make cluster creations which are works of art made out of random items. He called himself Colonel Cluster or Senior Cluster. [11:15] Using long strokes with a scalpel during surgery and lifting tissue as a unit to make finishing the surgery look natural. [14:04] Michael got a sandwich, dog food, and some other supplies for the homeless man he met last week. 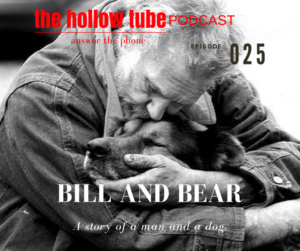 Michael helped Bill help Bear the dog with a problem the dog was having. Michael got scissors, soap, and baby wipes and they clipped the feces covered hair from the dog’s rear. [20:46] Michael was invested in helping Bill and Bear for awhile. [21:18] His affirmation about having compassion and stepping back from judgment applies to him helping Bill and Bear. [25:13] Christian’s life is in turmoil, and she needs help with her affirmations. She is having trouble expressing herself and self-sabotaging. [26:49] She shares what she wants in a handwritten note to Michael. She wants to be strong enough to build the life that she wants. [27:42] Michael highlighted some of the words in her note. Such as chaos. Out of chaos comes potential. Redirecting yourself can lead to your ultimate potential. [29:15] Looking at opposites of hang-ups. Like stability as opposed to chaos. Being the calm at the center of the storm. [30:07] Playing the role of the victim. Survivor, champion, predator, or hunter. Christian needs to grow fangs and be like a panther. Not a victim, but a hunter. [31:45] Be 10% of the animal you embody like a jaguar, a panther or lion. Nothing and nobody is going to get in my way. [32:38] Trouble being concise, but her word choices were very descriptive. Side is a position of an object on a central point. Turmoil is great confusion. Literal is non-metaphoric. Circumstances facts or conditions. Conveying a thought or feeling. [34:22] Patrick made a story based around the words in Christian’s question. [35:00] Christian’s predicament is similar to a contrecoup brain injury where a blow on one side affects the opposite side. [35:32] Circumstances on one side cause turmoil on the other. Pelvic ring shatters are the same kind of concept. [36:32] The dance of the golden ring. Trauma in the form of a golden circle. The force that hits you from behind are the circumstances. The force of the inertia are the turmoil. Core wounds are bruises. An injury to one part causes injuries to another part. The ring surrounding your body is a form of self-sabotage. [39:08] The solution is to lift the golden ring until it is above your head or opening up. It will no longer impact your body. You now control the ring and can use it to your advantage. And have it protect you from dark forces in the future. [44:46] Looking at your life and accepting it for what it is and being 100% responsible for your life going forward. [45:55] How we have got to see the life that we want. See and visualize every part of the life you want. [51:35] How everything comes from a place of gratitude. Come up with the things to be grateful for and say your affirmation four or seven times twice a day. [52:30] Do your affirmation 40-days and 40-nights in a row. It takes spiritual and physical discipline. Jot things down on paper. Over time it will click once you make the decision. [53:53] Say your affirmations with feeling and we will have an ebook that explains how to create affirmations that work. [57:37] Patrick’s vision is doing a live Hollow Tube show with Kaci and her dad as part of the show. [58:37] We appreciate all of our listeners and give shout outs. We also hope you like our new website and you can also reach us on social media.